Three years have passed since the glorious April victory of the Azerbaijani Army over Armenians. 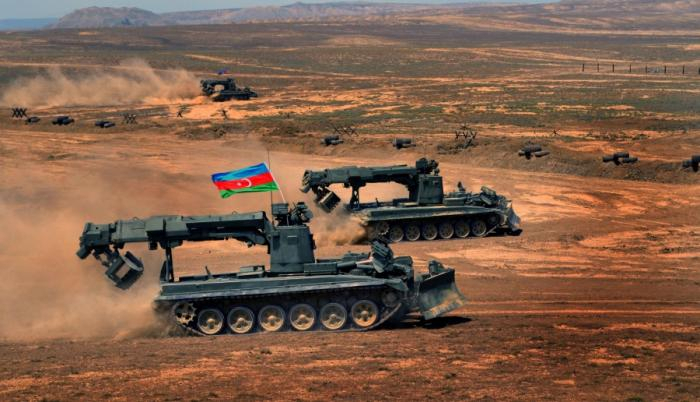 During the fighting that lasted from April 1 to 5, 2016, the Azerbaijani army liberated several occupied strategic positions, including the Lele Tepe height located in the Azerbaijani region of Fuzuli district. The liberation of the Lele Tepe height allows the Azerbaijani troops to control a large territory. As many as 30 tanks, up to 15 armored guns and fortifications belonging to the Armenians were destroyed, 320 Armenian soldiers were killed and more than 500 servicemen of the enemy were wounded during the April battles. As a result of the April battles, more than 2,000 hectares of territory were liberated from the Armenian occupation, even a larger territory came under the control of the Azerbaijani army, and the foundation of a glorious victory was laid. AzVision.az presents a video dedicated to the 3rd anniversary of glorious April victory of the Azerbaijani Army.